Leon Roy Wood served in the Army with the American Expeditionary Force in Europe. 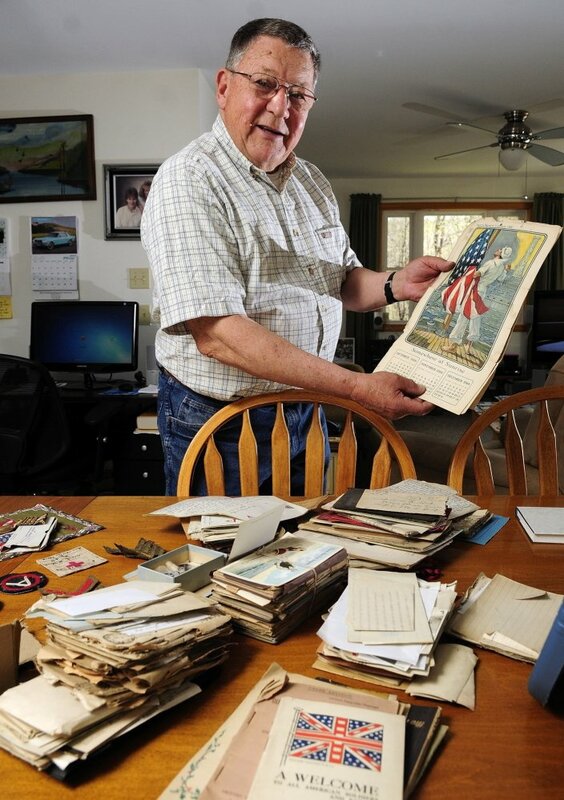 WINTHROP — When Jim Wood, 76, of Winthrop, thinks about his own family and their contribution to the military service of this country, he often turns to a treasure trove of letters and poems penned by his uncle, Leon Roy Wood. 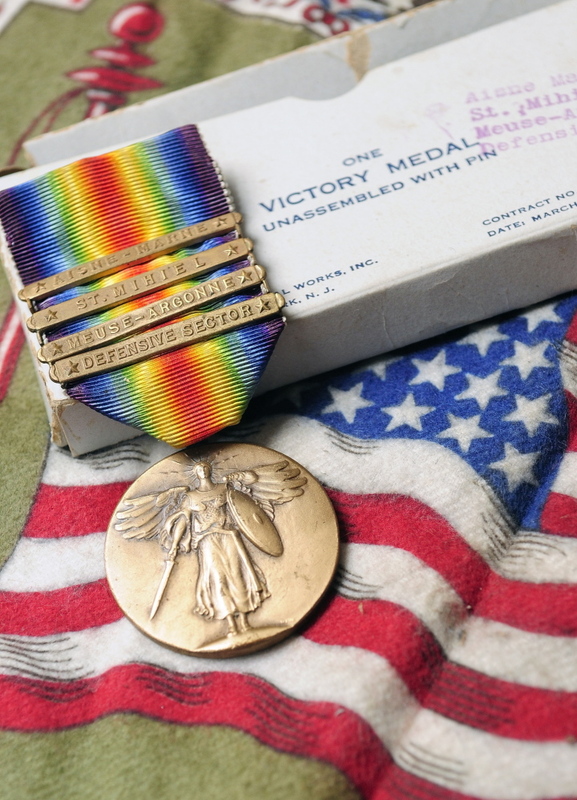 Leon served in the U.S. Army during World War I with the American Expeditionary Force in Europe. His unit kept the soldiers and officers in the front lines supplied with ammunition. 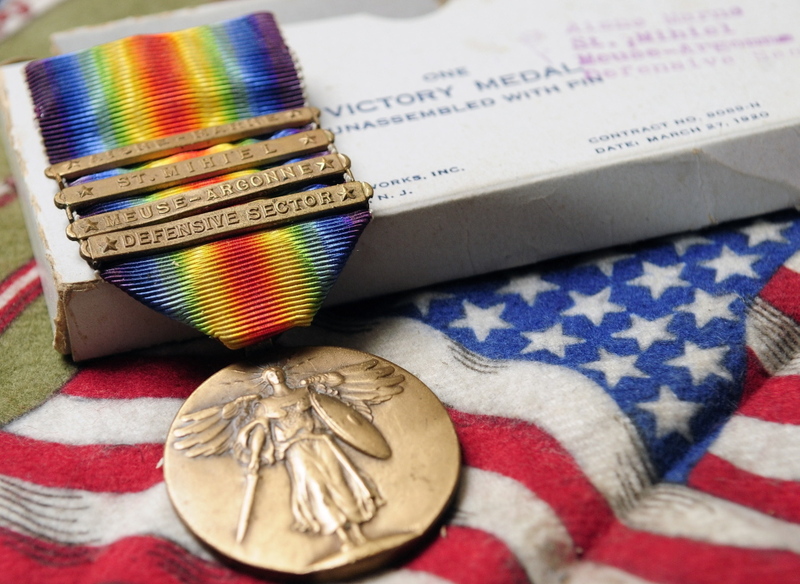 Leon also served in the Army of Occupation after Germany had been defeated and signed the Armistice on Nov. 11, 1918. “I don’t think General (John) Pershing knows I have landed as yet, but when he does, I suppose he’ll want me to confer with him as to the best method of taking Berlin. Leon reported that the American government had issued writing paper and tobacco to the U.S. soldiers. He said he wished the tobacco was sweet chocolate instead. “We have not been paid for two months,” he complained. • On Sept. 3, 1918, Leon wrote, “We have toured ALL of France. We sincerely hope and expect to set our feet very soon on soil that once was German. In 1967, Leon Wood had a large number of his poems published in a 231-page book called “Ramifications.” Most of the poems had a patriotic theme. Lit Faces of the Dead. “Well Done!” a Nation said. Leon ran a firewood business in Lewiston for many years after the Great War. The motto for his business was, “If you want good wood, get your wood from Wood.” He died in 1981 at the age of 90. 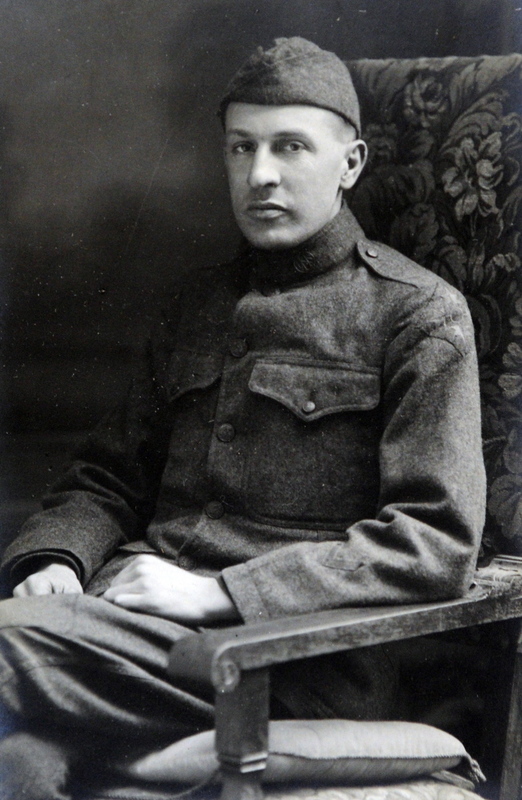 In nearly every letter during World War I, Leon attempted to calm the worries of his family, claiming he was a long distance away from any scene of battle. When he got onto the battleground in France and served there for four months, he didn’t describe the carnage in his letters. He still described the scene behind the lines and the peaceful villages of France which had won his heart. He wrote of the “exceedingly attractive” women of Luxembourg and later of the “mighty nice” German country folk who hosted Leon and another U.S. soldier in their home and gave them apples and pears. Leon’s handwriting is a graceful cursive style that is easy to read. 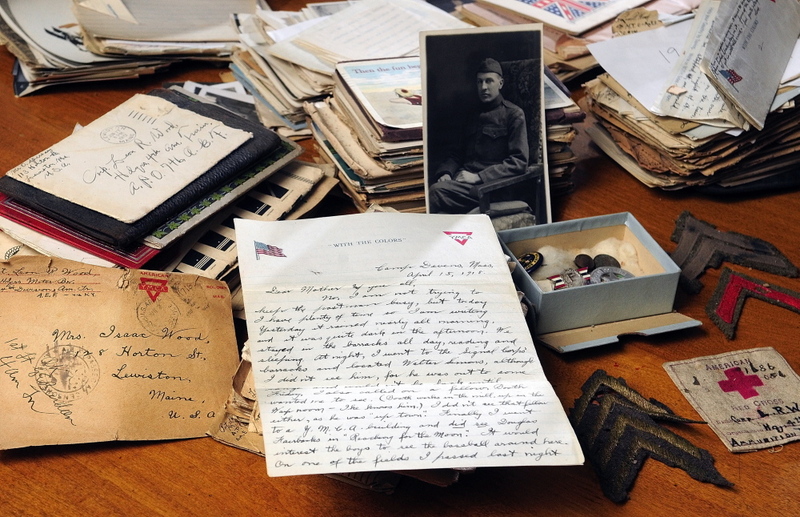 Most of his stationery is stamped with the logo of the American YMCA, a group that also provided recreation halls for the Allied soldiers to take breaks in. After the war, Leon had poetry published in the Lewiston Sun-Journal over the years and he won the Music Hall competition in Lewiston several times. He also won some poetry contests at Old Orchard Beach. Leon wrote all of his poems with alternating lines of verse that rhymed. The rhyming lines were always the same length. Leon’s father, Isaac, had died in 1909. His brother, Ernest Ogden Wood, Jim’s father, also was a World War I veteran, but he was not sent overseas. Jim said Leon tried to re-enlist for service during World War II, arguing the service was taking married men with families and he was a single bachelor, but the officials told him he was too old for military service. He would have been 50 in 1941. After he returned from the service, Leon and the rest of the Wood family jointly purchased some land on Wilson Pond in Winthrop and Monmouth and built a vacation camp on it. Later, they divided the land up among the remaining members of the family. Leon was master of Kora Temple Shrine in Lewiston for a number of years, was a member of the Kora Temple Chanters and received his 50-year membership pin from Kora Temple. Jim’s older brother, Cliff, now 95, served in the Maine Air National Guard, retiring as a colonel. He served on active duty during World War II and Korea. “He was brilliant in personnel management,” Jim said. Another of Jim’s brothers, Don Wood, also had a career in the Air Force. He was an aerial photographer on B29s and B36s. In the Air National Guard, Jim worked on repairing, maintaining and calibrating radar systems that fighter planes used to track their airborne foes. He worked on F-94s, F-89 Scorpions and F-101 Voodoos. In 1976, after working 20 years in radar maintenance, Jim took on a new assignment. He was one of the first to operate refueling booms for midair refueling of B-52s and other planes out of KC-135 air tankers. The Maine Air National Guard took the lead in this work. It was based first at Loring Air Force Base in Limestone and later at the old Dow Air Force Base in Bangor.